SENATOR Ademola Adeleke has been asked to report to the Special Investigation Panel, Force Headquarters, Abuja immediately for arraignment in court. The summon comes with just 72 hours before the Osun State Governorship election. 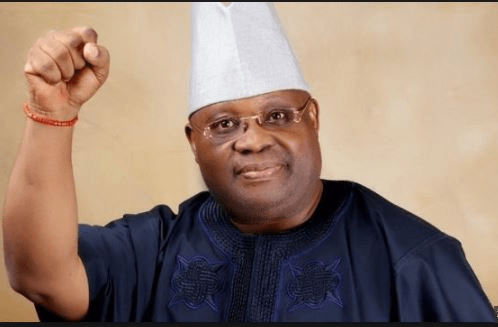 Adeleke, the Peoples Democratic Party – PDP, governorship candidate is being arraigned in court in connection with a case of ‘’Examination Malpractice, Criminal Conspiracy, Impersonation, Breach of Duty, Aiding and Abetting” brought against him and being investigated since 2017.He is being arraigned alongside four others, including, a secondary school principal, Alhaji Aregbesola Mufutau, Sikiru Adeleke, Gbadamosi Thomas Ojo and Dare Olutope. “On 21st July 2017, the Osun State Police Intelligence Bureau – SIB, received and acted on an actionable intelligence about an ongoing examination malpractice involving Senator Ademola Adeleke and Sikiru Adeleke at OJO/Aro Community Grammar School in Osun state,” Force Spokesperson, Ag. DCP Moshood Jimoh, said.